mafi produces natural wooden floors exclusively in Austria, ecologically perfect, tailor-made for each client, based on nature with more people than machines, and within four days. Real natural wood floors create something that is now lacking in many modern residential areas but is barely palpable. The natural material wood, warm underfoot, gives a room a soul and generates a feeling of contentment that reminds many people of childhood. However, this wood must not be rustic. As a floor, wood fits pleasantly into a room and gives it a real base. 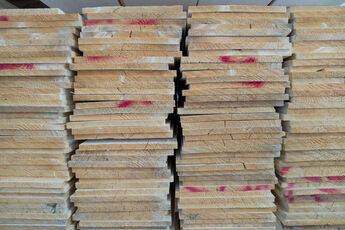 mafi natural wood floors are manufactured exclusively in Austria. Starting from material procurement, across the product itself, and onto the delivery we ensure an ecological footprint as small as possible. Short distances, minimal energy consumption and future-oriented processing of materials characterise our daily work. We process the whole tree, which we develop into many different lengths, widths, types and creative designs - all based on optimum resource utilisation. We even collect off-cuts that are then processed into heating pellets, which in turn, heat our company. Our planks are glued using vinegar based white glue. 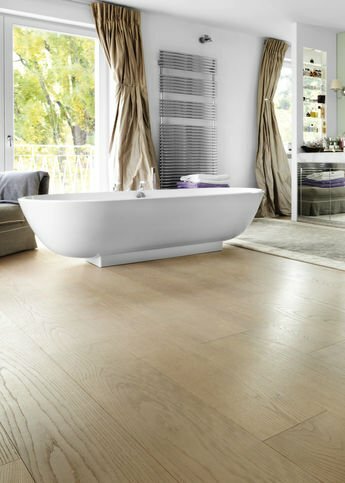 As a result, all mafi floors are extremely natural and especially formaldehyde-free. The planks are finished with natural oils based on linseed oil, are then air dried and completely without any artificial accelerator or hardener. Through this form of surface treatment, the floor becomes more resistant over the years, but if necessary can still be repaired on just the affected area without requiring a treatment of the whole area. A long product life cycle is also a kind of optimum resource utilisation in our eyes. Which two aspects play a role in the decision for a mafi natural wood floor, apart from a sustainable attitude toward the material? Surface finishing is performed with natural oils based on linseed oil. The oil is then allowed to air-dry. Thus, the wood can absorb enough oil into itself and is thereby prepared and ready for everyday use. Two major advantages arise therefrom. 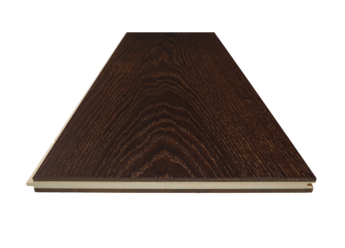 Conventional surface finishes are usually a kind of sealing which robs the wood of its characteristics. In addition to the air-purifying effect and the always pleasing, warm underfoot natural surface, mafi floors can handle water. The sealed surface’s biggest enemy is liquid, which penetrates under the seal and there meets the completely defenceless wood. The results are stains, mould, or even a broken sealing. The mafi surface allows the wood to take up normal amounts of water but it also enables it to be released back into the air, which makes it not as dry. On a small scale this happens with the air humidity, and on a large scale when wiping the floor. This ability also allows for installation in wellness areas, spas or bathrooms. Places where one likes to go barefoot - on wood, not on sealings. The second big advantage is the very broad spectrum of natural colour tones. The name Natural Wood Floor is what is says. 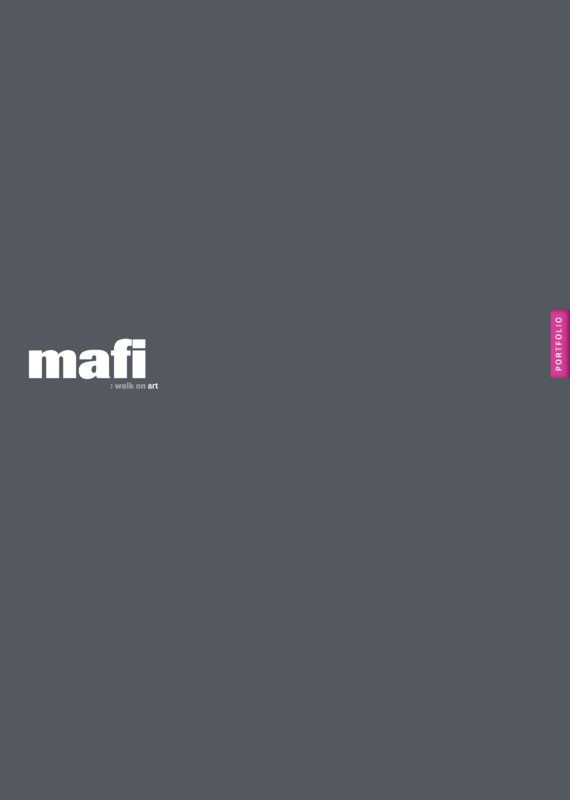 The basis of all colours in the mafi portfolio is the colour play of the respective wood type. Currently, mafi uses 10 different woods from sustainable cultivation. Also, local woods can now compete with tropical woods in terms of colour. Thanks to a thermo treatment with wind, heat and water, an almost black wood plank, for example, can be achieved from a normal Oak. It is important here that we don’t use unhealthy smoke or dyes, but simply work with a slow drying process. Depending on the duration and intensity, the wide range of new colours emerges from the wood itself without seeming artificial. The third important factor for the colour spectrum is the oil. In addition to the wood floor oil natural, there the two other forms in white and grey, as well as mixed forms. New variations, such as modern to rustic or strong to dignified, are created by careful application and massaging in of the oil, as well as from the air drying. The three aspects of wood type, thermo treatment and surface finishing with oils allow well over 300 different colours - without losing the natural colours of the wood itself. The robustness of a plank is a pre-requisite for long-term use. As the boards get longer and wider, the robustness becomes more important. Thus, the construction of the plank is crucial for the floor quality. mafi natural wood floors use a symmetrical, balanced three-layer construction. The top and back layers consist of the same wood, resulting in a counter-move. The middle layer consists of cross-glued spruce, which reduces the tension within the plank. Thus, lengths of up to 5m and widths up to 30cm can be produced. One of the central challenges in the use of wood is the swelling and shrinkage behaviour. This describes the movement of wood which changes its volume due to the absorption and release of moisture. This can cause gaps between the planks. Thanks to the mafi plank construction, there is symmetry and thus a counter-move which massively reduces the movement of the wood. Especially on underfloor heating, even stronger force is exerted on the wood and this makes the mafi symmetrical structure even more important. 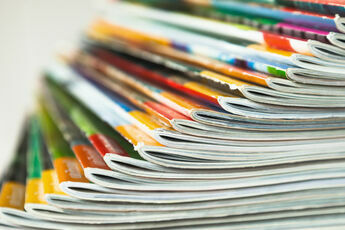 We offer all media representatives the possibility to register for our media service. After successful activation, you will have access to our latest media releases, further research material, image downloads and the Newsletter overview. We are also happy to help with on-site advice and assistance. You can find a printed version of the media kit with us at the stand. Alternatively, you can also download the content.